My Fairy Garden Magical Cottage Playset Just $17.79! Down From $30! You are here: Home / Great Deals / Amazon Deals / My Fairy Garden Magical Cottage Playset Just $17.79! Down From $30! Grow your own garden with this amazing My Fairy Garden Magical Cottage Playset which is now on sale at Amazon for just $17.79 down from $29.99 PLUS FREE shipping with Amazon Prime or for orders over $25! 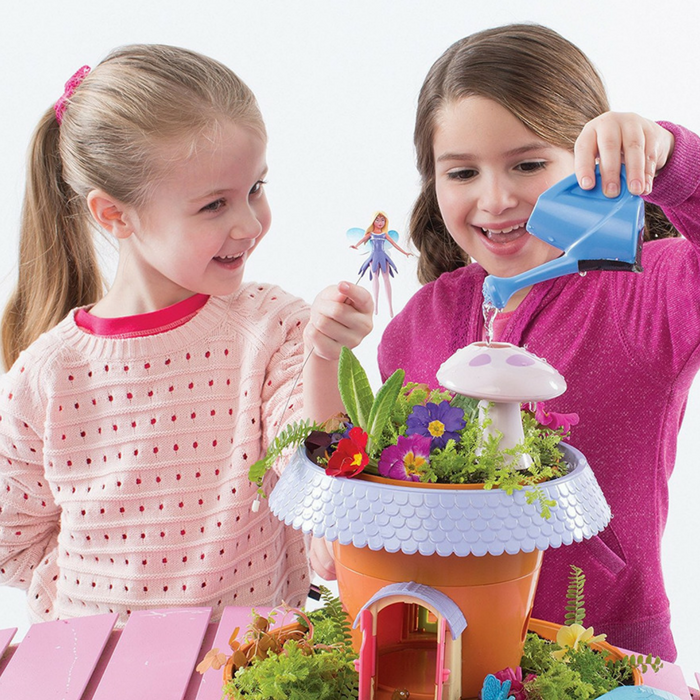 My fairy garden is the first of its kind: a toy that’s also a real, live garden! Children love kits that allow them to grow plants at home; it gives them a connection to nature and a sense of satisfaction at having nurtured a living thing. This garden playset takes it to a new, exciting level by allowing children to interact with it as part of an enchanting play set! Your kids would plant the organic seeds, and care for their garden, all while setting up and playing with adorable fairies, woodland friends and accessories! This is gonna be fun!